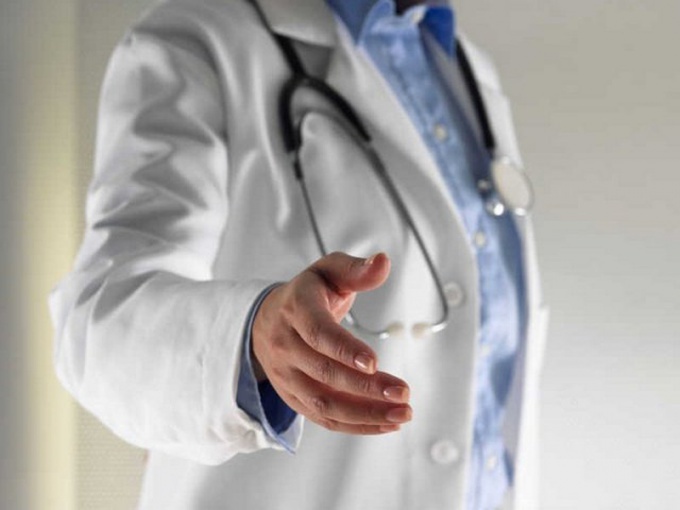 The medical profession is experiencing a rebirth, its popularity compared to the recent time has grown enormously, and competitions in medical schools reach hundreds of people in the place. It is important to prepare for exams and to know what to take. Chemistry. Main profile subject for medical students. If you do not know chemistry at a high level, in medical you can do, but studying would be extremely difficult. And in the first session all knowledge gaps will be visible so that will not help the many mulligans. How to learn chemistry – it's up to the applicant and parents: training courses, self-study through books and through the Internet or Tutors – scope for this is large for any mental and financial preference. Biology. The second core subject in medical school not to do. Particularly will be studied human anatomy, so in preparation for the arrival you should pay close attention to the study of this section of biology. A successful exam will need, of course, the knowledge gained in all the years in school. Physics. Some universities and professions this item replaces chemistry. It is found among the relevant subjects in medical schools very often, so his availability should be clarified in a particular institution. For example, physics may be listed among the relevant to the dental Department of the medical school. Russian language. The subject is not relevant, but necessary. As the competitions for admission to medical schools is extremely high, good scores on the Russian language can fix a picture's overall score if the other items fail excellent. But do not forget that have to learn in medical school, so a deep knowledge in relevant fields. The first three years of their study, medical students are not specialized, so the direction of study applicants to choose easier than other students. You should choose when entering the specialty "Medical business", "Pediatrics", "pharmacy", "Stomatology" and then after 3 courses to choose narrow specialization. Some graduates of the 9th and even 11th grade, you first go to medical College, then pass exams to the University. This is a good option for those who are not confident in getting high scores for the exam and do not want to pay huge money for training on a paid Department. After a medical College to be admitted to the relevant specialty in the medical University on 3 course, or with good preparation to pass the exam and try to pass on the budget. Often in medical universities there are private colleges that are happy to accept then graduates to continue training in the higher education program. You finish school and your decision to enter the medical Institute? You want to treat people and are willing to give the Hippocratic oath? The medical profession is one of the most responsible, and learning must be approached seriously and with understanding. Determine exactly a future profession. Medical Universities provide a wide range of professions, choose what you like. Curious, what disciplines they are studying. Choice of specialty correlate with your further employment, the profession must be in demand in your city and country. Select the UNIVERSITY. Laws allow you to apply to multiple schools, but it is better to focus on 2-3 of the Institute. Specify if whether the University has appropriate licenses and permissions from the ministries on the issuance of a state diploma to avoid enrolling in non-state UNIVERSITY. Note that, when the Institute held open door Days. Once on such an event, you will receive the information you need. Learn does the UNIVERSITY preparatory courses, they will help you get into medical school. As a rule, there are teaching high school students pay fees, but in the case of successful completion the applicant receives certain benefits upon admission. If the UNIVERSITY is not located in your town, check the availability of seats in the hostel, if any. Find out about the cost of renting apartments in this city. Learn chemistry and biology, participate in various competitions in these disciplines. Try to write the exam for higher scores. When you receive a look at the results. But it is possible that you will have to perform additional tasks on the main disciplines. Submit the required list of documents for admission. To attend medical school for free form of training is difficult, however, write a statement on the budget, if not pass on competition, it can always be rewritten. Choose a UNIVERSITY. Laws allow you to apply to multiple schools, but it is better to focus on 2-3 of the Institute. Specify if whether the University has appropriate licenses and permissions from the ministries on the issuance of a state diploma to avoid enrolling in non-state UNIVERSITY. Expect results and don't despair in case of failure! For the year will be to prepare and try to do it again. 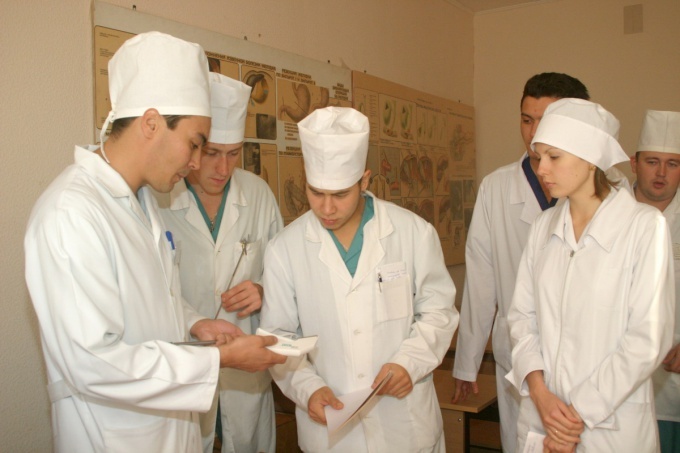 Every year more than one hundred thousand people are students of Russian medical schools. To enter the medical faculty is difficult, it requires good preparation and serious attitude to later learning. Make your choice in favor of one or another medical school. Among such institutions there is not a vowel rating. The first places belong to the universities of Kursk, Ufa, Moscow, Yaroslavl and St. Petersburg. Here you will gain more quality knowledge and skills. In its leadership selection criteria such as educational base and infrastructure of the University. For example, you should interest the presence of attached to the establishment of clinics, laboratories, extensive libraries and the ability to complete online courses. Prepare for entrance examinations. To choose the necessary school subjects and thoroughly study them as early as possible, about two years before admission. Most likely you will need the knowledge in biology, chemistry and some other disciplines. - medical certificate on form 086-y.Take the necessary documents to the admission Commission of the University or College in which you are going to do. To enter the medical faculty will be a little easier, if you have any successes and awards in disciplines representing the medicine of particular interest. The final and most important stage – entrance examinations. You have to take it seriously. Never use a crib, be careful in writing the test works, confident oral responses. Everything you say, try to bind to the medicine. In order to successfully enter the medical program, you should not rely on luck. Once you have submitted the documents to the admissions office, forget about the night get-togethers and countryside recreation. Now the main task – successful passing of entrance examinations. Only upon completion can slightly relax. But do not forget that learning in medical school is a serious undertaking. In order to receive a diploma entitling them to medical practice, you need to learn in institutes and universities. Medical schools accept students on the basis of secondary school education. Nevertheless, individuals who received a diploma of specialized secondary education, have the privilege of training in the chosen specialty. In order to enter a medical school, you need to finish secondary school and get a diploma. Then determine the name of the University and its location. If your city has no such institution, ask in a different city about any, as well as dormitories and rented apartments. Try to find out about the time of the "day of open doors" of the selected institution. Chat with teaching staff and discuss the issues regarding the exams, ask for help with the preparation of the documents. You may be given a list of required information. Hire a tutor of Russian language, chemistry and biology. Participate in contests on these items, win prizes. Try to pass the exam for a maximum score, it will help you easier to do. Prepare the necessary list of documents. Make copies of your passport, passport-size photographs 3 to 4, a certificate on the health status at the time of admission, and the results of the exam. Can send them by mail or taken personally to the admissions office. Send documents with your application statement addressed to the rector of the medical Institute to several institutions. So more chances to enter. A statement addressed to the rector write in the prescribed form, which can be taken in the admissions office. Indicate in him a desire to enroll in the budget Department, as in the case of failure, you can always rewrite the document. Next you need to pass the exams to get a passing grade. Then you will be able to conclude that the results are received. 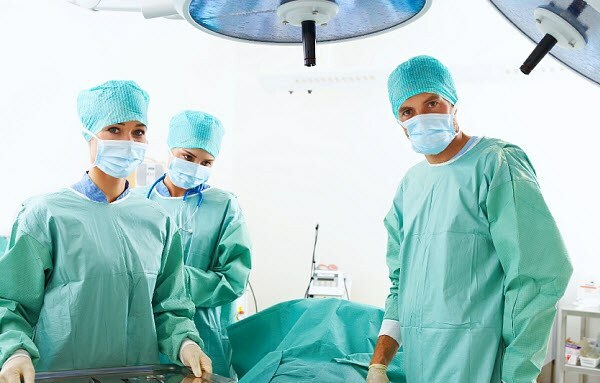 Students in medical schools are allowed to enroll in medical school at the third course provided positively passed exams and good characteristics of the previous place of study. In addition, the legislation provides a number of benefits for the disabled of the 1st group, of persons having one parent-the invalid of 1 group, orphans and others. To enroll in medical school is not only on the basis of the first higher education, but also to master course, residency and internship. The student, before he becomes to practice medicine, you need to finish one of these areas of study. In order to obtain direction on training, you need to contact the Dean's office of the University or Institute and ask for a list of required documents for the exam. As a rule, the whole period of the training takes about two years, after which is issued a diploma of the state sample. It is important that the Institute has the state accreditation and the license to train, this information should be checked for the stage of receipt. The entire period of study in total takes about 9 years includes apprenticeship training, admission to residency and internship, together with work in the hospital under the guidance of a doctor. Only after this period of you get a qualified doctor who has the right to engage in medical practice in the chosen direction. If you decide to become a physician and to permanently link his life with this wonderful profession, it is important to know that medical students are studying two years longer than students from other universities. Besides, the medical profession is very responsible, requiring a man maximum impact. If it is not stopping, the first step towards your goal is admission to medical school. To think about how to attend medical school, should have after finishing the ninth grade. In this case, it is best not to finish school, and apply in specialized medical College, where you properly prepare for admission to the University, focusing on the areas of science, the possession of which will help you to pass the exam or entrance exams. Training in such a College, as a rule, paid. If your city does not have a medical College or you don't want to do it for any reason, by focusing the study of the following subjects: Russian language, physics, chemistry and biology with anatomy. Possession will significantly increase your chances to pass the exams and to attend medical school. If you understand that, despite all the efforts, your knowledge is not deep enough, you need to find tutoring in those subjects in which you are the worst. The best place to find Tutors in the medical school - these people know what are the requirements for applicants for admission and how to pass exams, and will prepare you for it better than others. The last step to attend medical school, will be the passage of the admissions Committee. If the institution does not accept the results of the exam, you will have to pass the entrance exams, which are usually four: essay, physics, chemistry and biology. Common passing score for admission to medical school depends on the competition, but your chances will significantly increase if all the exams you will pass, not lower than "four". Once you will be enrolled in medical school, it is important to remember: in order to become a doctor, you have a long and hard work. The greatest efforts will have to make in the first year: in first year usually deduct the largest number of students not coping with the training load. For admission to medical school requires a standard package of documents: passport, birth certificate, high school diploma and a certificate of medical examination. The profession of dentist is always popular and in demand. Every year, hundreds of alumni stormed the medical schools with the hope to enter dental school and become a professional with a capital letter. Unfortunately, dreams come true is not at all. What pitfalls await you on your way to mastering the profession of a dentist? Certificate of graduation, certificate, exam or GIA, the application for admission, a medical certificate, photos. Test yourself for suitability to the profession. Such a test is possible to pass the school psychologist or independently searching the needed material. Dentist's profession requires high concentration of attention, perseverance, sociability, stress tolerance, ability to sympathize with people. If you possess all these qualities? Start to attend preparatory courses or hire a tutor for several months before admission. 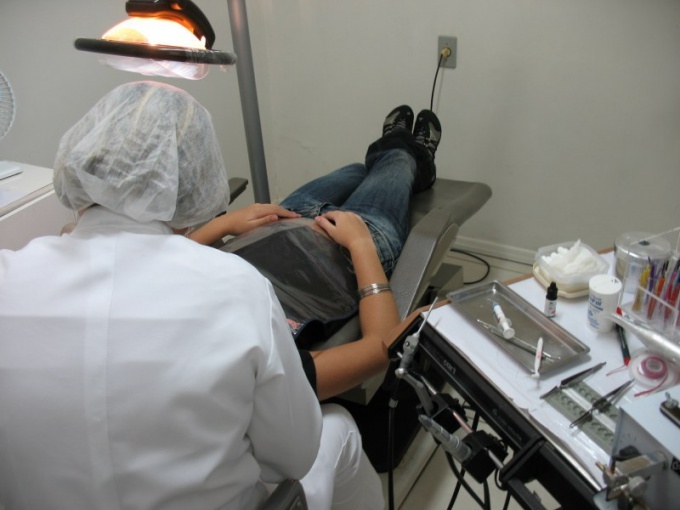 Tenders for dental faculties is quite high, so you need to prepare in advance. Items that should be given special attention: biology, chemistry, Russian language and physics. Apply for admission to one (or several, for insurance) from medical colleges or universities, the faculty of "Dentistry". The deadline for applications is set by the school. For admission you will need documents such as a certificate of education, a certificate with the results of the exam (if you arrive after the 11th grade) or GIA (if you arrive after grade 9), a medical certificate in the prescribed form and some photos. Do not worry if you do not pass on competition in University, start your career as a dental technician, which can be obtained at the medical College. Hard to do chemistry and Russian language for admission to the College, you will have to write a dictation and to pass an oral exam in chemistry. Make an attempt admission to the University after medical College. If secondary institution on the profile you finish with honors, for admission to the Institute you have to pass only one exam in chemistry. Entrance examinations for admission to the dentist in the various universities may be different, but mostly it's chemistry, biology, Russian language and physics. Be prepared for the painstaking hard study for five years at the University because the profession of the dentist is severe enough to be responsible. With 2-3 of course the future doctor starts to practice on mannequins, then practice as a dental assistant. 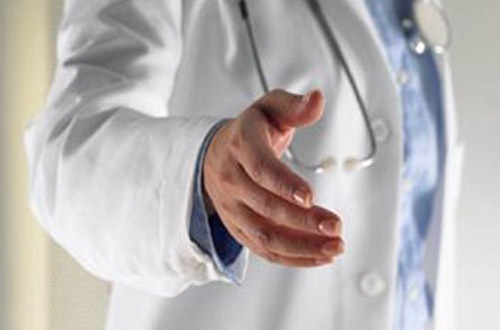 The medical profession at all times remains one of the most sought after and respected. On average, about a quarter of the graduates of secondary schools choose to teach medical schools, despite the high competition for admission. Start preparing for admission to medical University at least 1-2 years before the admission. Pre-consult with parents and choose a school where you would like to learn. Refer to selecting such criteria as the availability of sufficient infrastructure, practical and educational base. Find out the necessary information on the admission and entrance exams. If you have good will-power, sufficient perseverance and high level of organization, even as a student of the normal school, to prepare for entrance exams on their own. But if during the preparation you will need a qualified tutor, find him among the teachers of the medical school to which you want to do. If possible, in high school periodates in school or Lyceum with a medical slant. In such educational institutions is provided to you the maximum preparation for admission. For many high school students good help in preparing for entrance examinations are preparatory courses at the selected University. 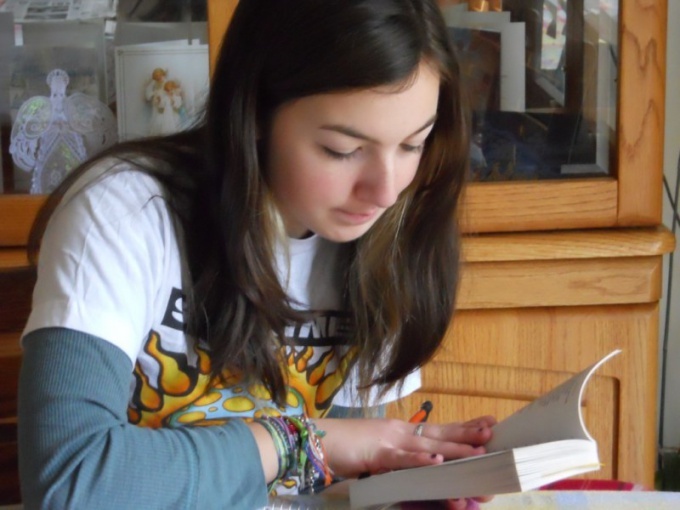 Strenuously engaged in the subjects that you will pass the entrance exams, as a rule, chemistry, biology and Russian. In some universities it seems to advanced physics and mathematics. In the preparatory period don't miss the opportunity to participate in various competitions, which cover health topics, or present for medical interest. This can be an additional bonus for admission to the Institute. Hand over the required documents to the admissions office and take the entrance test. Upon successful completion you can call yourself a medical student. But most importantly is learning, during which you will also need to demonstrate their perseverance, patience and dedication and desire to master the profession of a doctor. If you have decided to link their future profession with medicine and become a nurse or a paramedic, you have to pass the entrance test in school or College in the corresponding direction. For admission to medical school applicants usually pass two examinations: Russian language (in writing) and biology (oral). 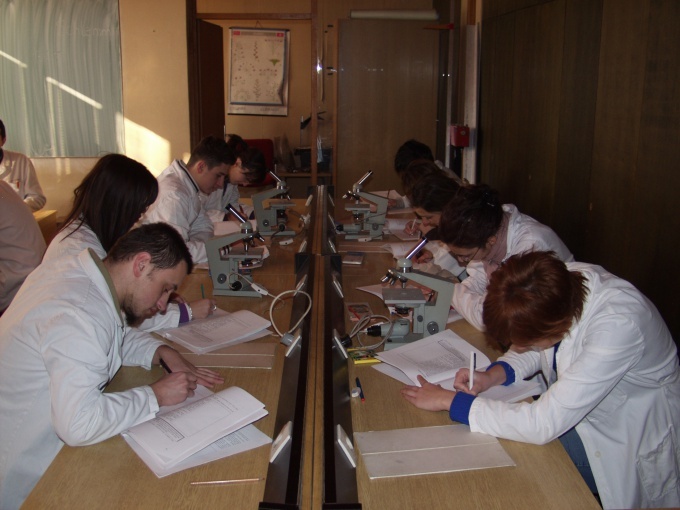 At some faculties (laboratory diagnosis) to the oral exams is added to chemistry, and to writing – algebra. If you arrive after the ninth grade, enrollment will be based on the results of the GIA (state final examination), if after the 11th grade – the results of the exam (unified state examination). In most medical schools you can make a choice: will you pass the entrance examination or provide results of GIA or the exam. The period of training in medical schools and colleges, typically after the 9th class - 3 years and 10 months, after 11 class – 2 year 10 months. Common faculties in these schools are: "Nursing", "Obstetric business", "Medical", "Laboratory diagnostics". Medical schools usually operate training courses for graduates. They come in different lengths, from one month to six months, and focused on specific issues, which will be offered at the entrance examinations. Keep in mind that the deadline for admission to medical school can be different, for those students who chose to sit an entrance exam and for those who are going to provide the results of the GIA or the exam. If you filed documents with the indication of the entrance examination: to provide results of the GIA or the exam, and they were below a pass grade in the faculty, repeat the entrance test, usually not organized. For certain categories of citizens: disabled children, orphans, children, under the care of one parent-disabled participants and invalids of combat actions, etc. there are special conditions for admission to medical colleges, out of competition, subject to successful passing of entrance examinations. Medicine is one of the most difficult professions that require not only dedication and vocation, but also a serious work of training. Professional training of physicians does not end with obtaining a diploma at the University. Many young professionals are interested in what kind of post-graduate education is preferred. The first step to getting a coveted profession - the end of medical school. The duration of study in Russian is 6 years. After graduation you receive a diploma on professional higher education certifying the qualification of a doctor. To apply for medical school right after graduation, but some enroll in College after medical College, improving their skills. Diploma training of future doctors does not end there. After graduation the young specialist needs to enroll in the internship in the chosen specialty. 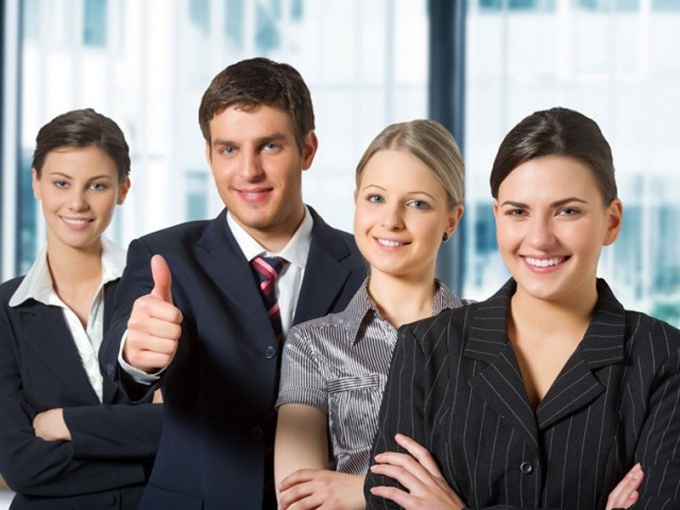 Internship is a compulsory course of the postgraduate education, which lasts for 1 year. After graduation, the future doctor becomes an Intern and is a mandatory practice and specialization in the chosen area of clinical. Most often, the internship free, but in some cases students are forced to pay for the course if they failed to act on a budgetary basis. The next stage residency that lasts 2 to 3 years. Residency is not mandatory, but its recommended to any young doctor who wants to improve their skills, gain experience, and specialize at higher levels. After the clinical studies of a specialist are much more likely to get a good job in the medical field up to the management positions. In medical institutions the graduates of the residency are valued much higher than yesterday's interns as residency gives a more complete education. Thus, the total duration of medical education in our country up to 9-10 years. After the internship has the right to work in the specialty, therefore, further post-graduate education (residency, courses of improvement of doctors, certification, training) can be obtained without leaving the practice of medicine. The profession of a surgeon is very responsible and is in great demand. Good surgeons are valued in any clinic, but in order to become a valuable specialist, you need to study for many years. But first we need to attend medical school. Chemistry. Profile subject for each medical specialty, apart from dentistry in some high schools where chemistry is a core subject can stand physics. In any medical school without a great knowledge of chemistry to study fine will not work. Many items associated with her, therefore, if you decide to pass the exams in medical school and continue to study to become a surgeon, you must have a deep knowledge of chemistry and a high score on the exam. Biology. Another profile subject, the points which must be very high. With further study at the University for the future the surgeons will need to know the whole human anatomy, and perfectly, otherwise the surgery it is better not to go. So even before leaving school you need to study biology and especially human anatomy. A detailed guide to the anatomy should be required reading to any applicant, and then medical student. Math. Some universities as an additional subject included in the list of specialised mathematics. It happens very rarely, so it is better to clarify the question of its existence in the admissions office of a University. In most cases, the math appears in a number of core subjects, if you want to weed out a certain percentage of applicants for admission. Russian language. This course is mandatory for all graduates, and high scores on the Russian language will make a total score at admission is higher. So for this test it makes sense to prepare as hard as other things. Applicants who wish to enroll in the surgeon are not immediately recognizable on this specialty. First, all future medical students are distributed in several directions: "Medical business", "Stomatology", "pharmacy", "Pediatrics" and others. Future surgeons go on General medicine and three years are taught the same subjects with other students. Only after the 3rd year is a division for specialization. Future surgeons should remember that learning in medical school is very difficult. And as it is one of the most serious and responsible of the specialization of the doctor, bad successful students do not take it, so you have to get high scores on all exams during the studies. Besides learning a surgeons life: first 6 years in high school, then internship, residency, doctoral studies. After learning and practicing all my life to complete their education on courses of improvement of qualification, confirm their knowledge and skills. 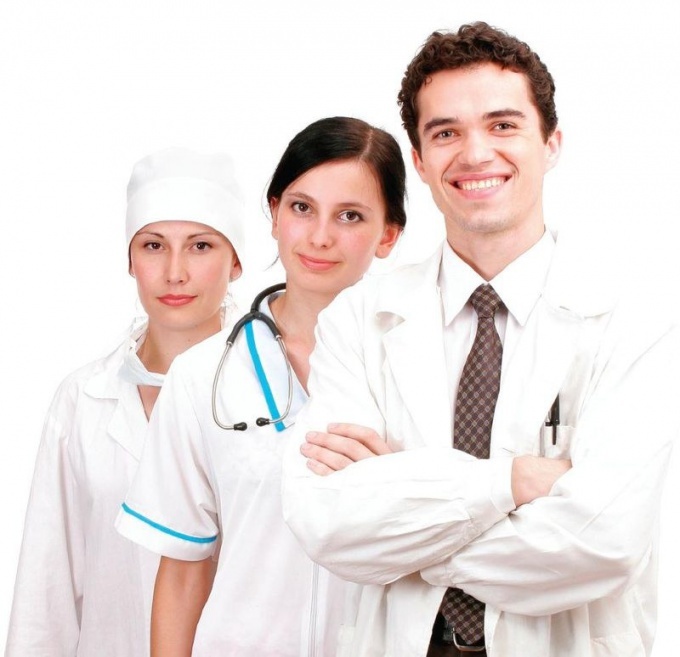 In order to prepare for the medical profession, many students go to study in medical College. Everyone decides for themselves how justified such a step, because not every medical school in a hurry to take a College graduate to the course over the first. Therefore, such applicants still have to pass exams in the University and act on a common basis. Although the knowledge base they will be better than your students, and the understanding that this profession is for them.